Final day of work done and dusted for 3 months, I walked out of the office with a big grin on my face after lots of well wishes from colleagues. Think I just about got everything done and handed-over (thanks Dan). Big thank you to everyone at work who have been so supportive in the run up to this, with offers of help, fund-raising and sponsorship, and ‘carb loading’. My parents drove up today, and we were joined by Lu’s parents for a glass of fizzy stuff prior to me knuckling down to the packing. Also being joined by my brother, his wife and my nephew tomorrow. It’ll be great to see everyone for the off. So I had beer to celebrate, well just half, courtesy of Chris B’s brewing talents. Dad had the other half and we both agreed it was especially fine Chris – worthy of an appearance in the Fat Cat I reckon. 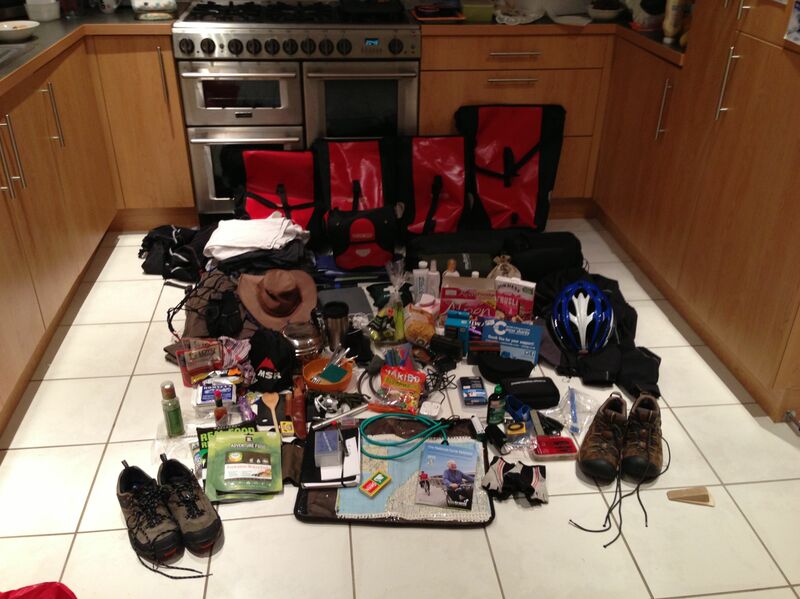 So everything done and packed, with just a few things to do such as load routes onto my Garmin, find my passport (just in case I need to change lands masses due to adverse weather conditions), and probably repack everything a few times before I set off in the morning. I’m aiming for a 10.30 start, whereupon I’ll wend my way through Norwich, past work, then on to Lowestoft, before turning left and heading North up the coast of Norfolk. Weather forecast looks good with plenty of sunshine, although a little on the cold side, and an Easterly breeze which should swing around to come from the South West a bit later in the week. First stop is Happisburgh, which although gradually falling into the sea still has a good camp-site and pub. Looking forward to my first night under canvas! From Happisburgh I’ll continue around past Cromer and Sheringham to Sandringham, then on to just North of Skegness, before crossing the Humber into Yorshire and beyond. Further updates from the road, assuming technology does not fail me. 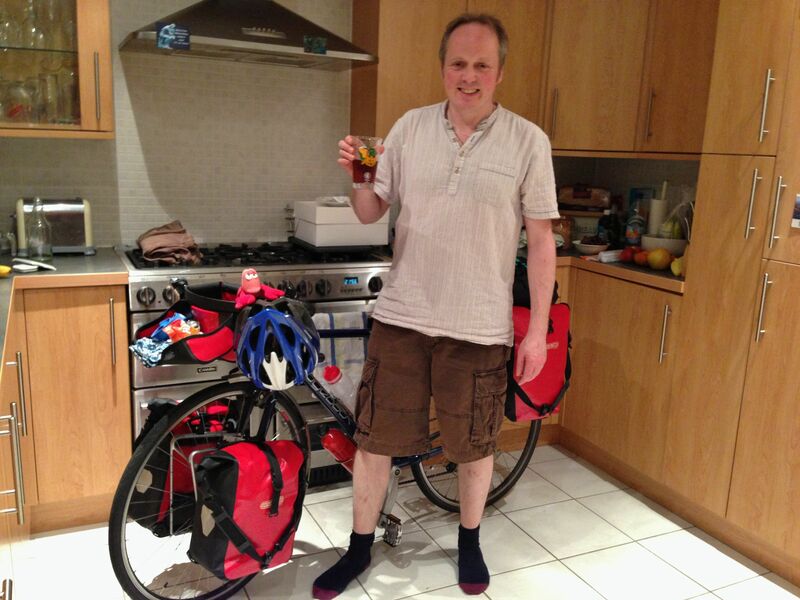 This entry was posted in Bike around Britain 2013, cycle tour kit, General and tagged adventure, bike, cycle touring, cycling, expedition, fundraising, Norfolk, Norwich, outdoors, Real ale on April 30, 2013 by SelfPropelled. Have fun! Amazing thing to be doing. We just can’t stay away from Happisburgh, can we? Hopefully it won’t be quite as chilly as it was for the filming! Or as windy. Bon voyage! I’ll be following your progress around the coast with interest. 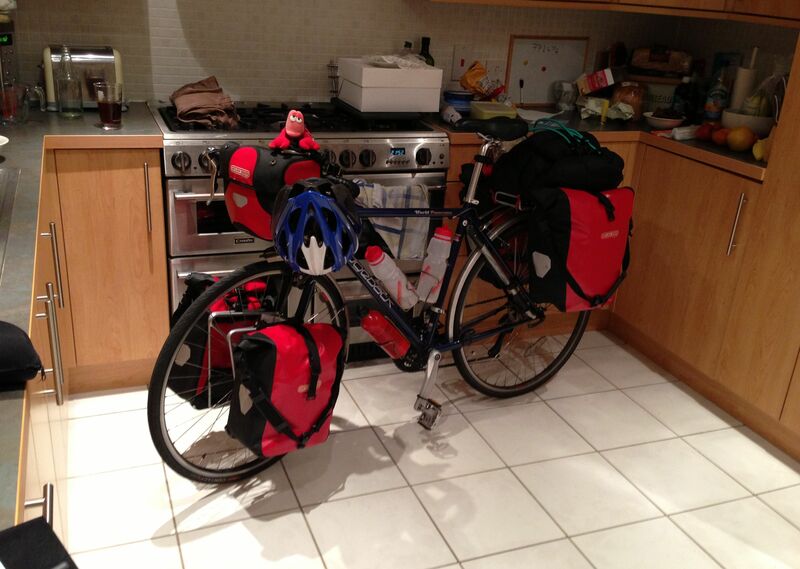 In your picture I cannot see your kitchen sink – is that because you’ve packed it?!? Following with interest. Good Luck.